We always find that toads and frogs start being active very early in these parts of West Devon. One year we saw fresh spawn in the woodland pond during Christmas week. This year has been a little later, but still quite early for the norm country wide. 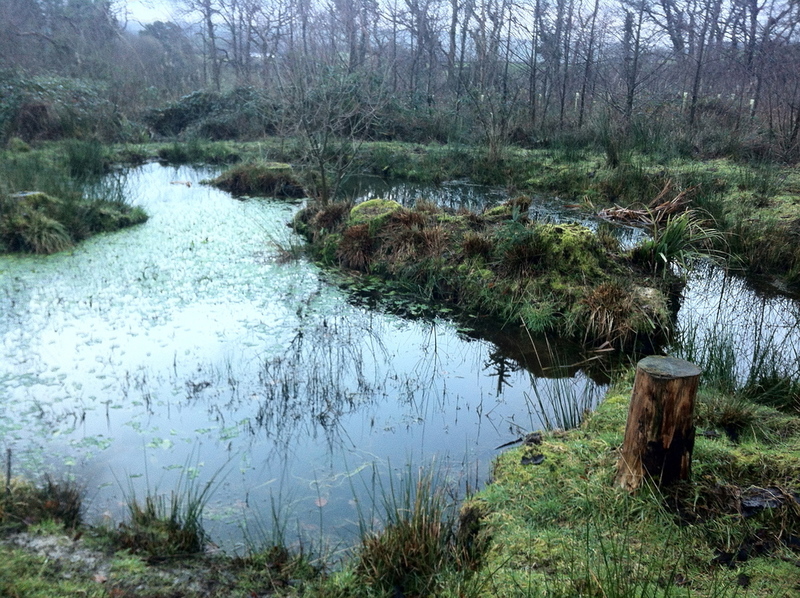 Our woodland pond was established nearly six years ago. The original soft wood plantation was harvested, and subsequently replanted with locally grown mixed deciduous varieties of trees. There was one area in particular that had a lot of natural springs, and so we took the decision to create a wildlife pond. 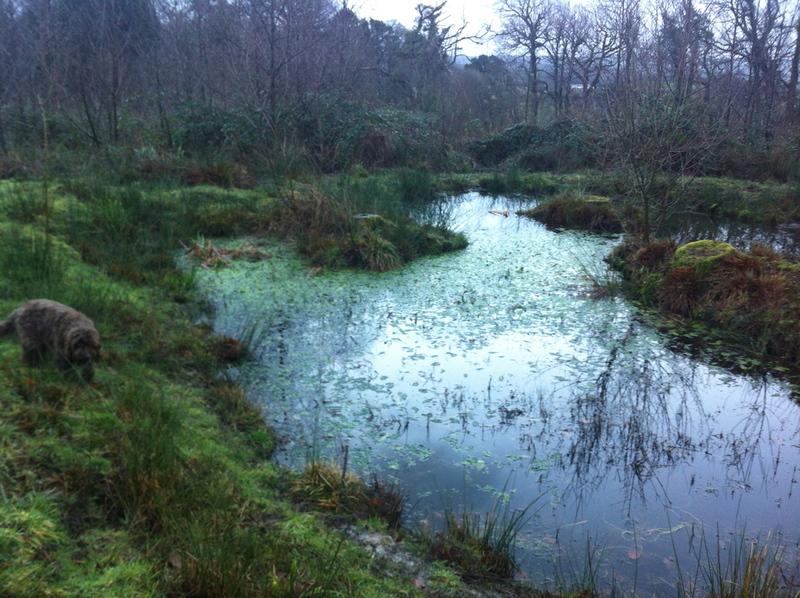 This pond has been a huge success, and is home to many species of wildlife, including amphibians. As with all thriving natural environments, an abundance of any species will mean that there is a good food chain in action, and this is the case for our pond. A week or so ago, I was surprised to see a large quantity of spawn on top of a 7ft high tree trunk next to the pond. When felling the woodland, we kept a number of trunks that had evidence of wildlife inhabiting them, and this was one of them. I was confused as to how the spawn had got into such a position, especially as there was very little evidence of it having been fertilised. There was also a few splodges of spawn around the base of the trunk. It wasn't until a few mornings later that I realised how it must have got there. On approaching the pond on my early morning walk with the dogs, we saw a large heron taking off from the ponds edge. I had read that when a female pregnant amphibian is under attack, it will shed its spawn, whether it has been fertilised or not. I strongly suspect that the heron caught the toad, and flew up onto the trunk, in order to consume its breakfast. Since that morning I have seen the heron at the pond side regularly each morning, and yesterday morning I saw the first fertilised spawn this year in the pond.